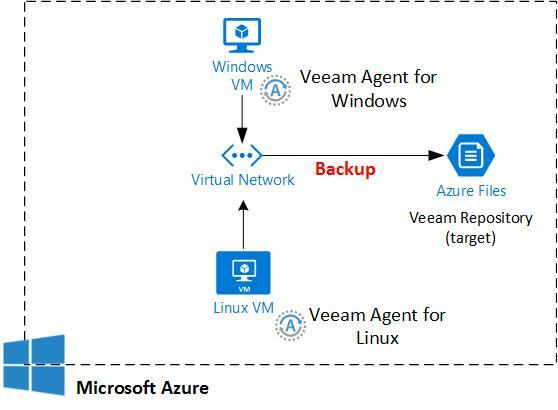 In this post, we are looking into using Veeam Agent for Windows/Linux to backup application data and store into Azure Files Storage. 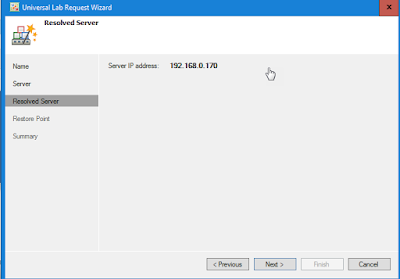 Application on Windows Virtual Machine or Linux Virtual machine can be protected using standard Server Message Block (SMB) protocol. 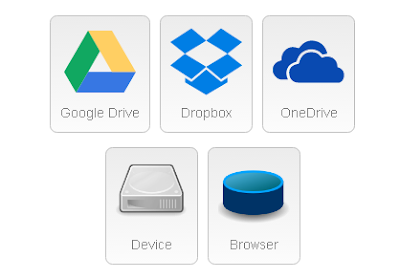 Data store in File Storage is just cost $0.08 per GB/month (LRS) for Southeast Asia pricing. Note:- Price is different depend on region. 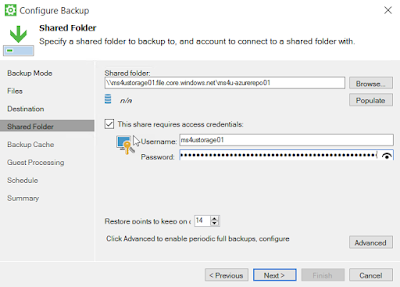 Each File share can store data up to 5TB. 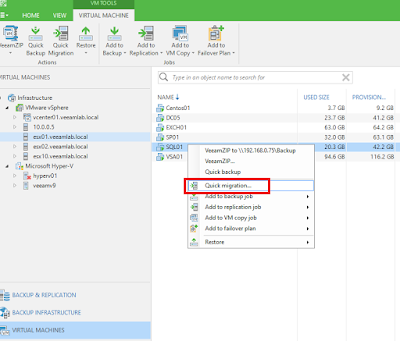 Once Veeam Agent for Windows has installed on Windows VM, customer can configure target to shared folder. 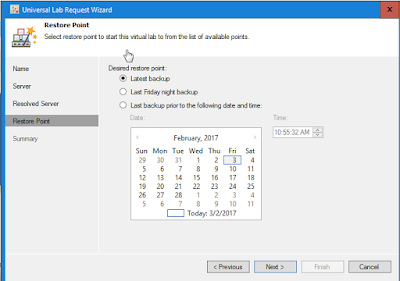 On Linux VM, before you configure backup job, customer need to configure mounting point. Configuration on Veeam Agent for Linux target, set to Local instead of shared folder. 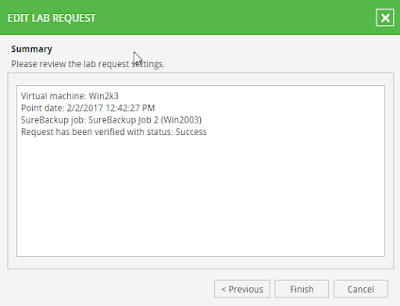 Backup completed without any issue. If you are running free vmware vsphere hypervisor, you may wonder how to do backup. 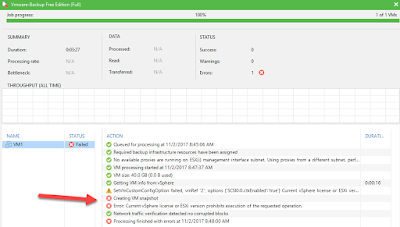 Starting from ESX/ESXi 4.0, Vmware has disable the API which prevent free ESXi to perform snapshot. 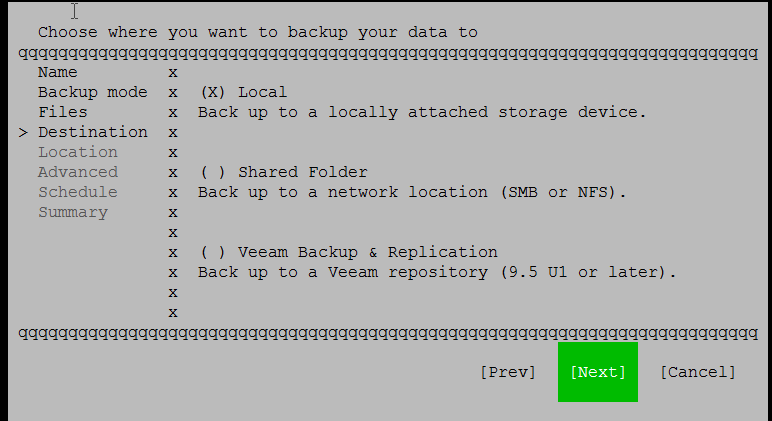 You will get this error message when try to backup Free Vmware ESXi. 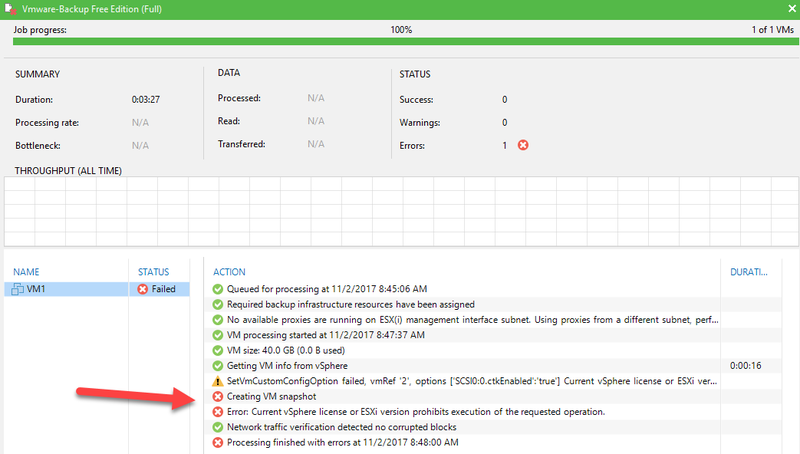 Error:- "Current vSphere license or ESXi version prohibits execution of the requested operation"
Veeam Agent for Windows - for Windows workload. 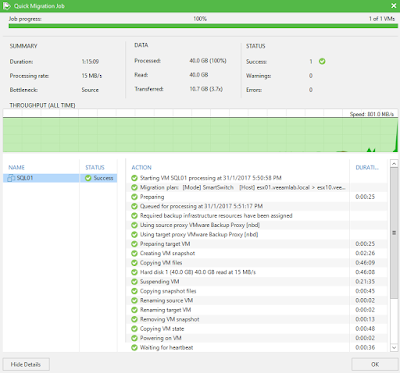 Veeam Agent for Linux - for Linux workload. Click here to know more. 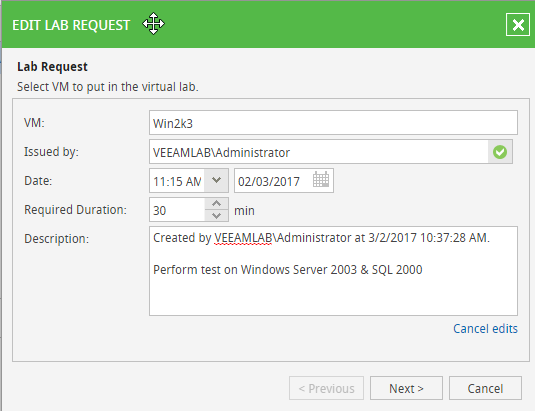 In this post, we are going to use Veeam Agent for Windows -Server Edition (currently in beta version.) 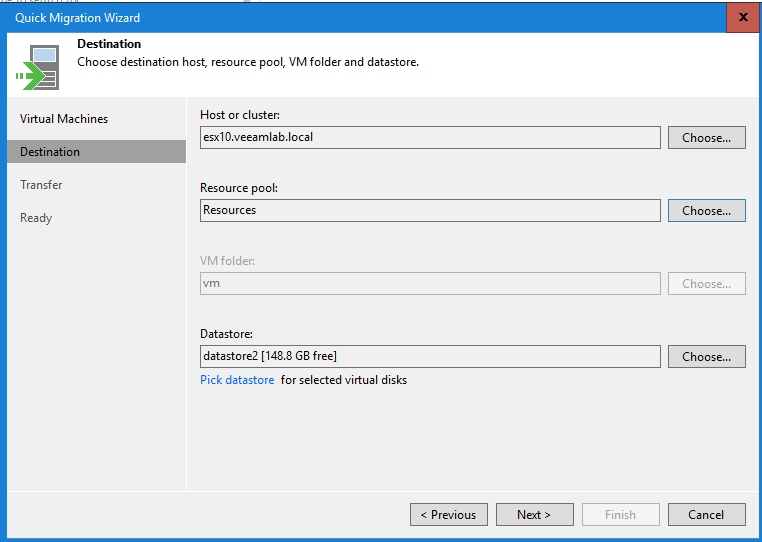 to protect virtual machine running on free vmware esxi. You need to install Veeam Agent for Windows - Server Edition in windows virtual machine, perform full backup and point backup data to Veeam repository. 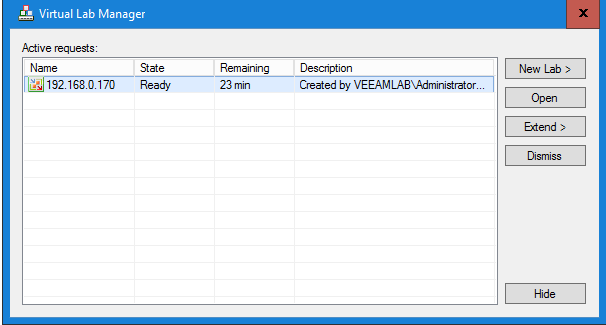 granular item using Veeam Explorer. 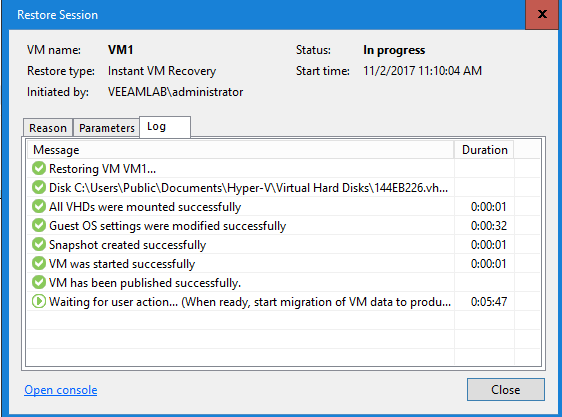 Without restore entire virtual machine, you can recover an item (SQL, Exchange, Active Directory, Sharepoint, Oracle, File/Folder). 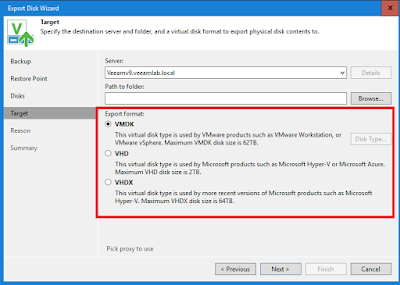 export virtual disk to Hyper-V or Vmware disk format. It will perform conversion and convert to Hyper-V or Vmware virtual disk. 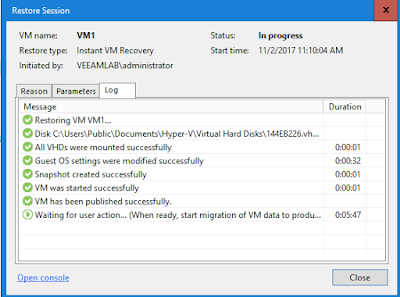 Instant Recovery to Hyper-V Host. Refer to here. 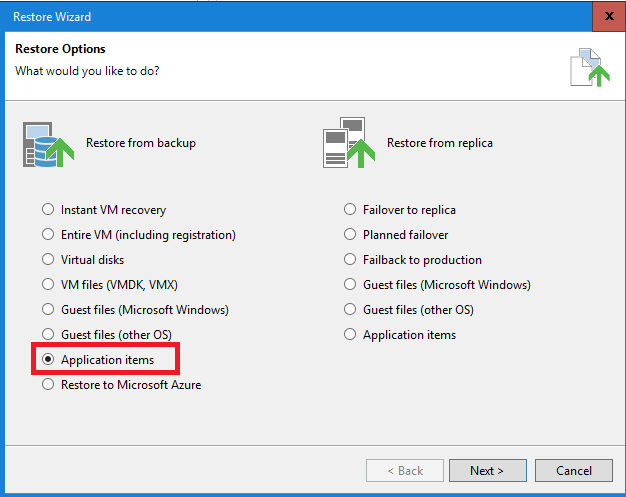 This feature allow user to bring up virtual machine (without restore entire virtual machine). It will mount the backup data to Hyper-V Host, to bring up the virtual machine within 2-3 minutes. Direct Restore to Microsoft Azure. Refer to here. Hope this alternative work for you. 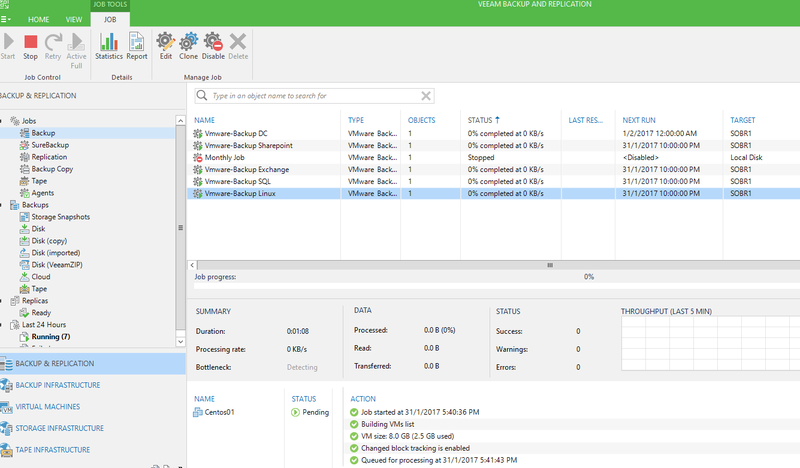 Note:- To download Veeam Agent for Windows, click here. 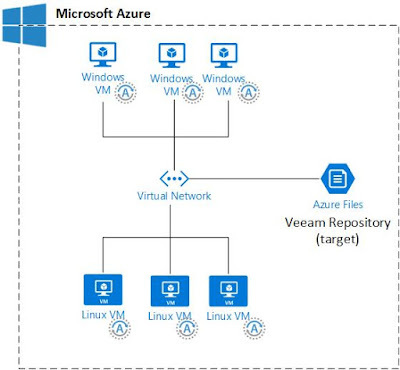 We used to use visio as diagram software to do solution architecture diagram but there are certain devices such my Surface RT, android tablet, or other tablet cannot install the software. The only resort is use online diagram software and the best is free. During our exploration, we found draw.io. 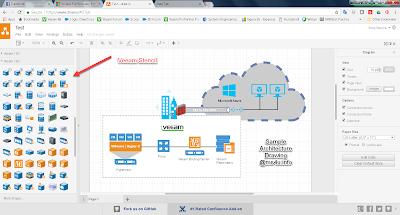 draw.io is free online diagram software for making flowcharts, process diagrams, org charts, UML, ER and network diagrams. 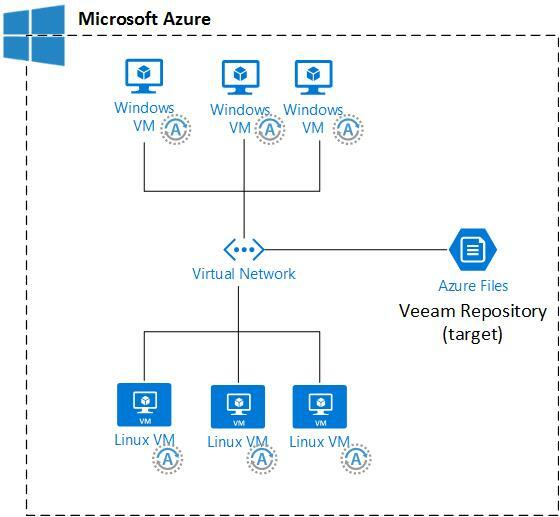 We found Veeam & Azure stencil are available which make it even more perfect tool to use. Below is a sample drawing that we drew when playing around with it. 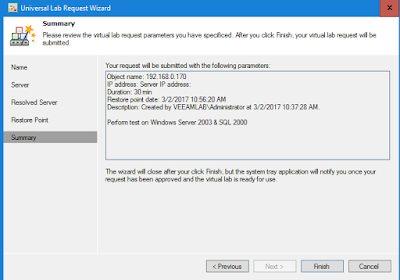 Encountered an error message " Windows Cannot Find the Microsoft Software License Terms" when install operating system Windows Server 2016 in a virtual machine running on Windows Server 2016 Hyper-V. 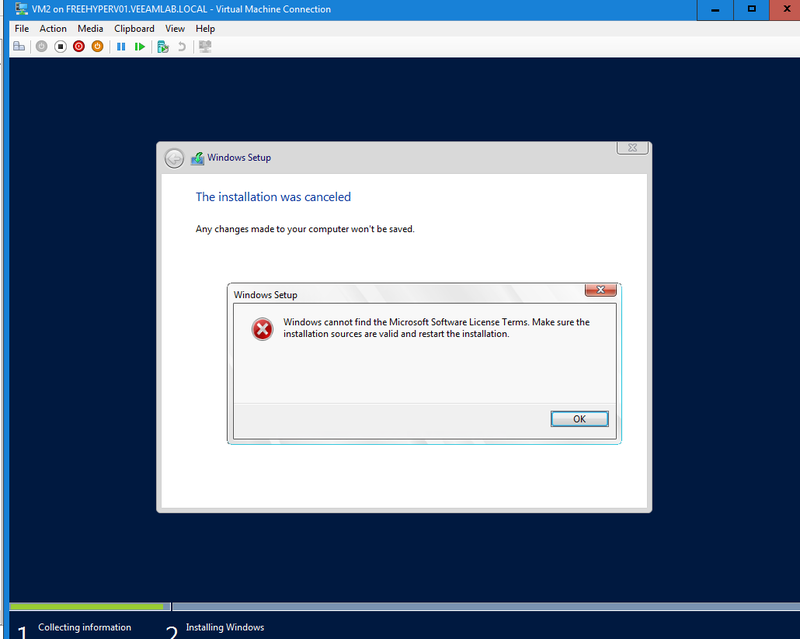 I was unable to proceed further and restart installation does not fix the problem. Initial thought,was iso media issue. But that is not the case. Note:- Initial setting is 512MB. Able to get the operating system installation run without any issue. If you are wondering what is new with SCOM 2016, you are not the only one. There is a lot of uncertainty around what’s lies ahead down the road for SCOM. 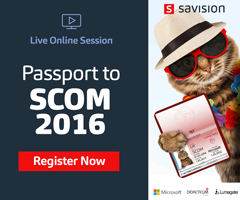 Join tons of IT pros who are asking the same questions and register for Savision’s upcoming session: 'Passport to SCOM 2016'. - The roadmap of SCOM 2016, and much more, including a Q&A session, where the experts will answer all your questions. 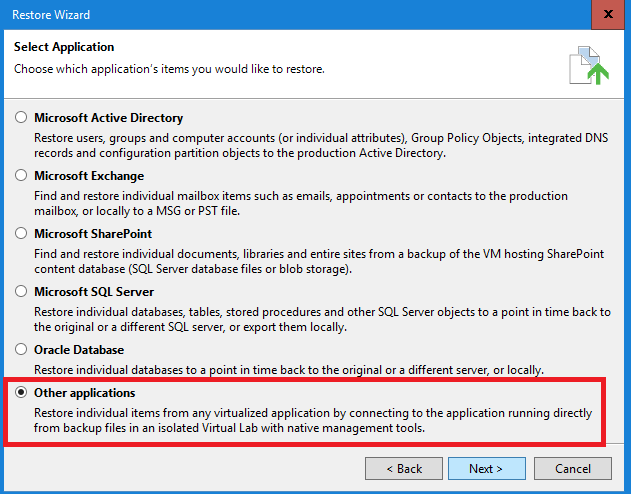 This post is written to address concern on recover an application items especially Microsoft application which has end support (example SQL 2000, 2005, Exchange 2007, etc). 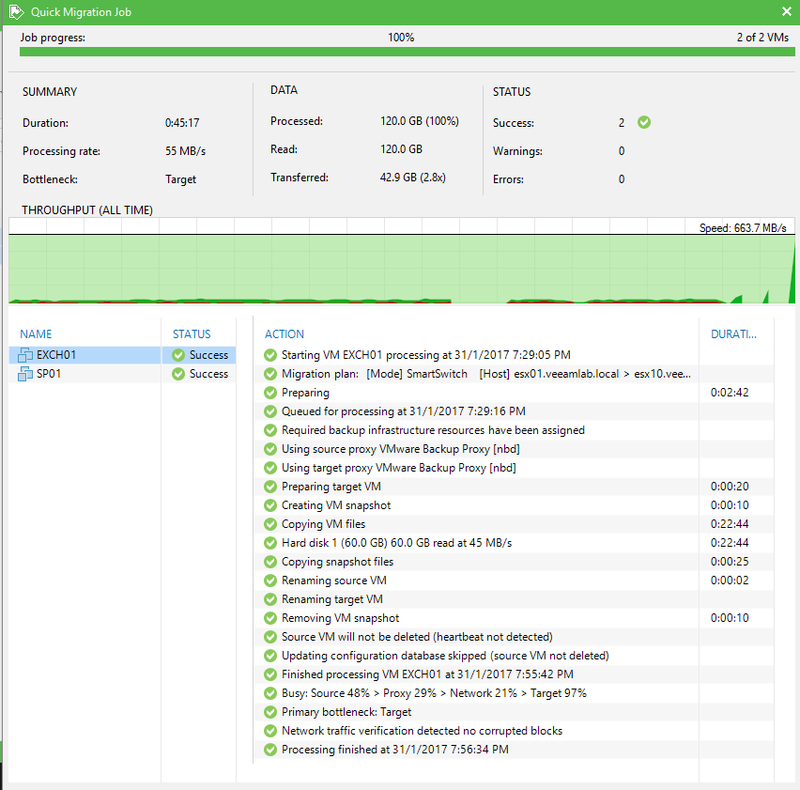 Some organization still has an older application running due to incompatibility issue or not yet migrate to new version. 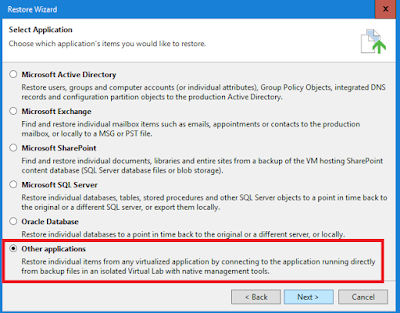 Note:- Microsoft Lifecycle Policy is still apply for above product. 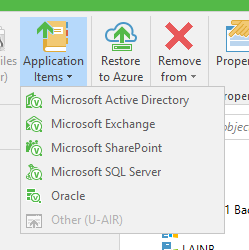 Please refer to here:- https://support.microsoft.com/en-us/lifecycle . Our objective is to provide an option to recover your application when disaster happen. 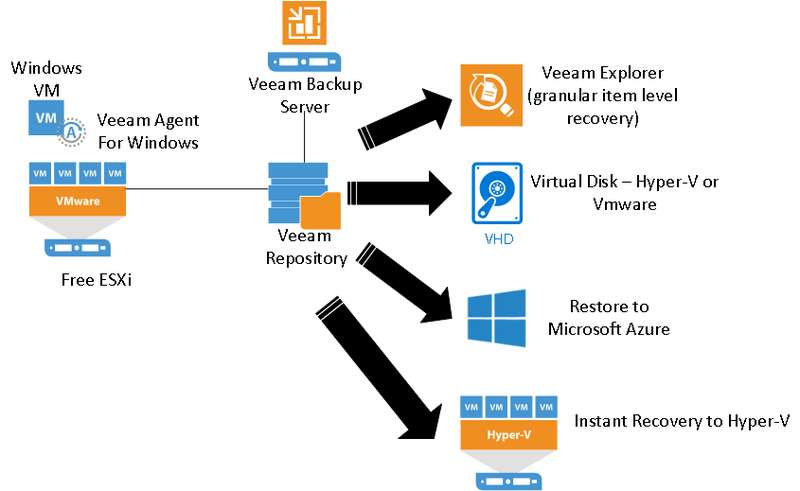 Veeam Universal Application Item-level Recovery (or U-AIR) addresses one of the most common IT problem — it lets you restore individual application items that were accidentally deleted or corrupted, directly from VM backups. 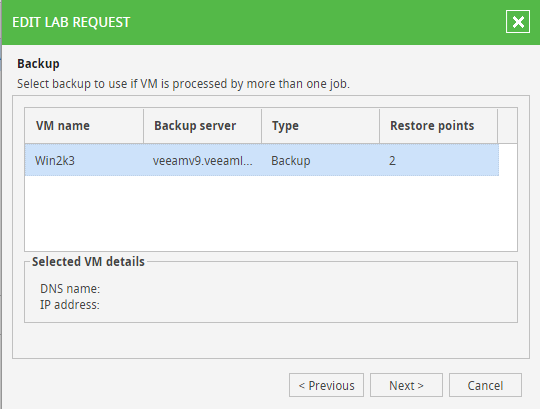 You can use Veeam’s U-AIR functionality to recover items from any application running inside any VM. 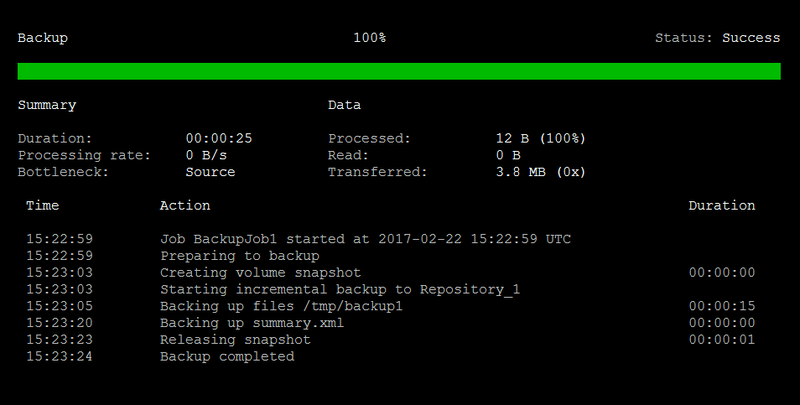 U-AIR does not require any special backups or additional tools. To enable recovery of application items, U-AIR uses the vPower technology for applications virtualized on VMware vSphere platform, and Instant VM Recovery technology for applications virtualized on Microsoft Hyper-V platform. 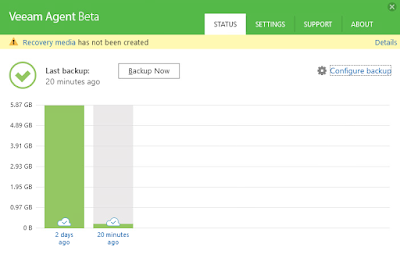 VMs are started directly from compressed and deduplicated image-level backups. 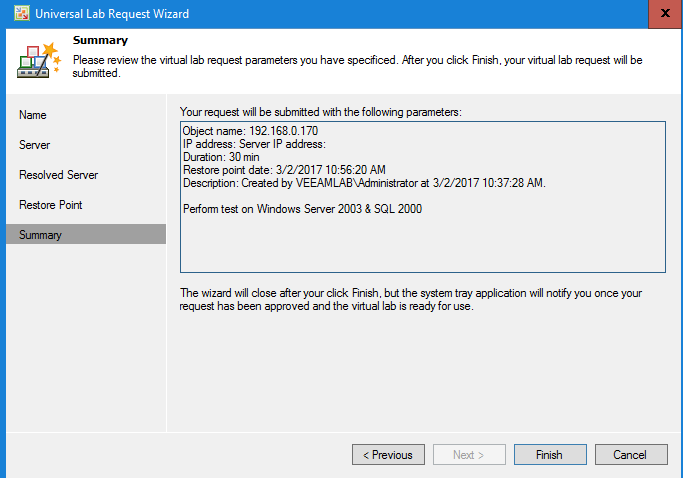 running older application on Vmware/Hyper Platform. 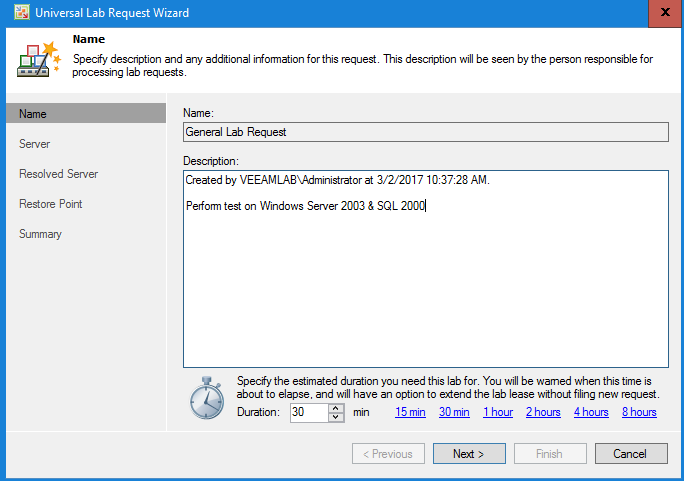 In our lab, we are using Windows Server 2003 with SP2 & SQL 2000. 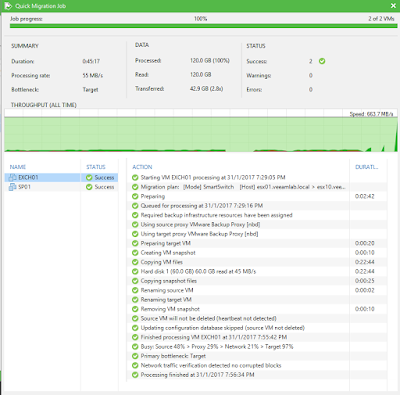 Install Veeam U-AIR (Veeam Universal Application Item Recovery) FREE! 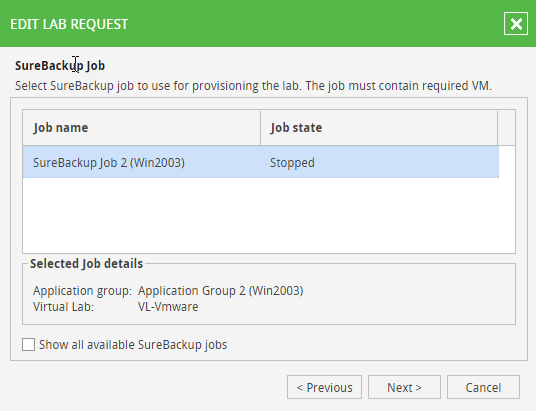 SureBackup Job, Application Group & Virtual Lab has configured. 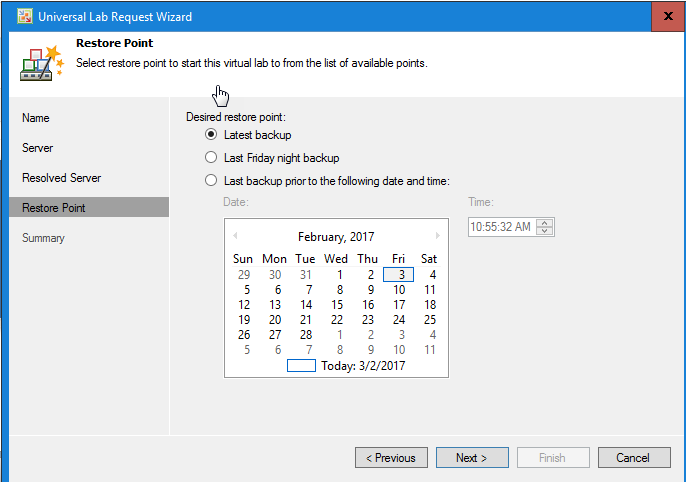 Keep the application group running once the job completes option in the properties of the SureBackup job. 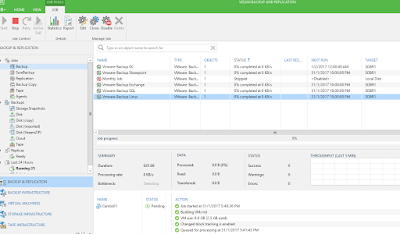 U-AIR will utilize Surebackup,Virtual Lab and Application group. Once Virtual machine has boot up from backup in an isolated environment, user can connect to that application with the native management tools they use for work with the application, and restore items they need. 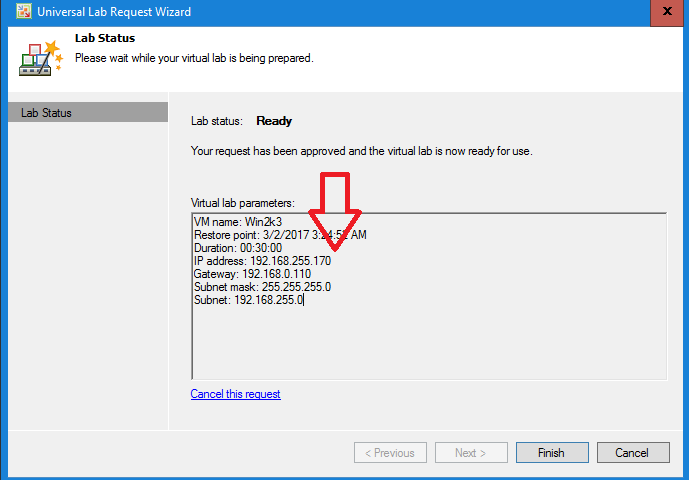 b) Enter Virtual Lab description and duration require. Click Finish. 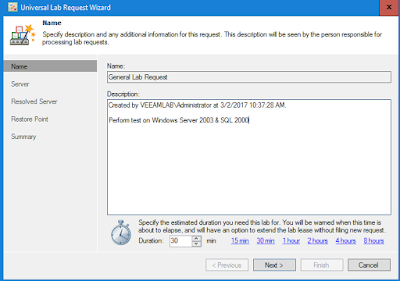 You just send a Virtual Lab Request. 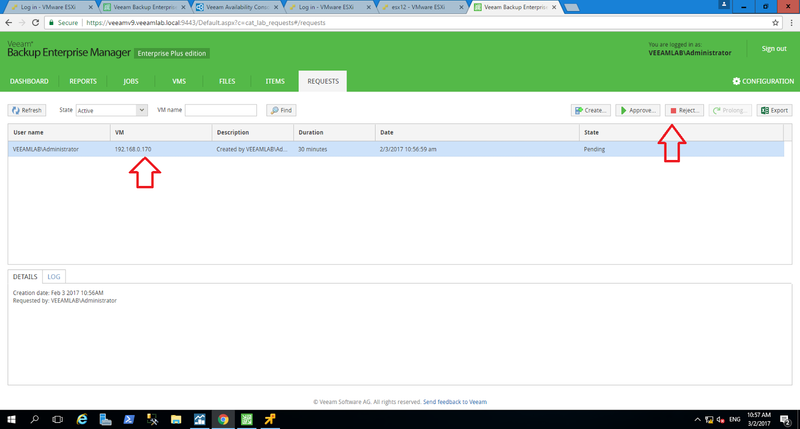 Next step is approve from Veeam Enterprise Manager. 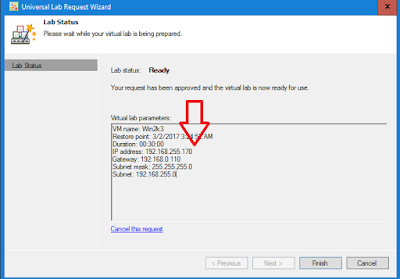 b) Modify the lab date/time when virtual lab is going to run. 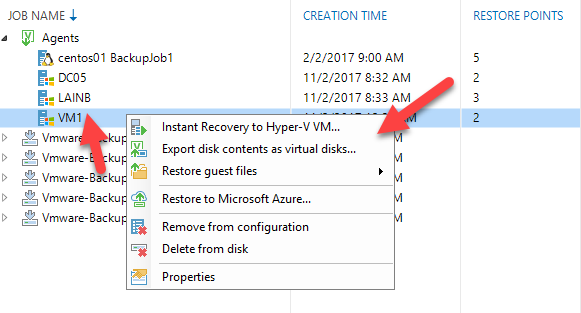 Enter VM name. 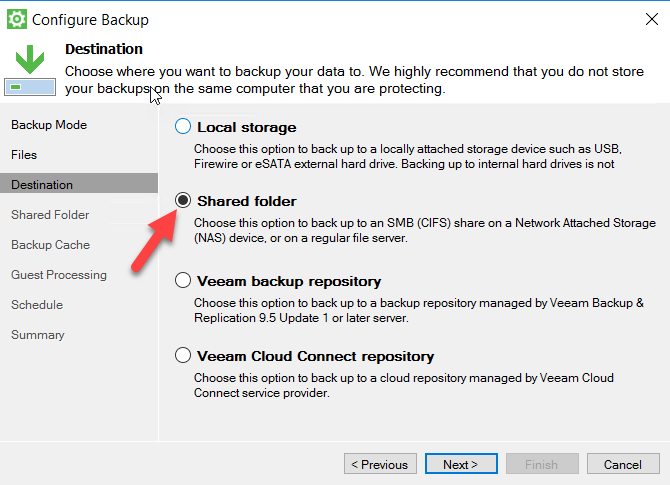 Veeam will search from Veeam backup server and display the restore point. 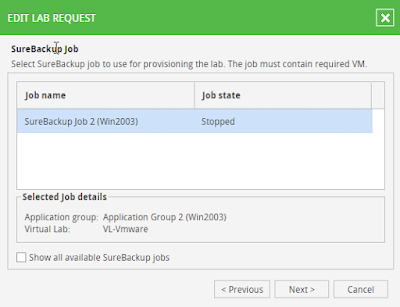 c) Select SureBackup Job to associate with this virtual lab request. 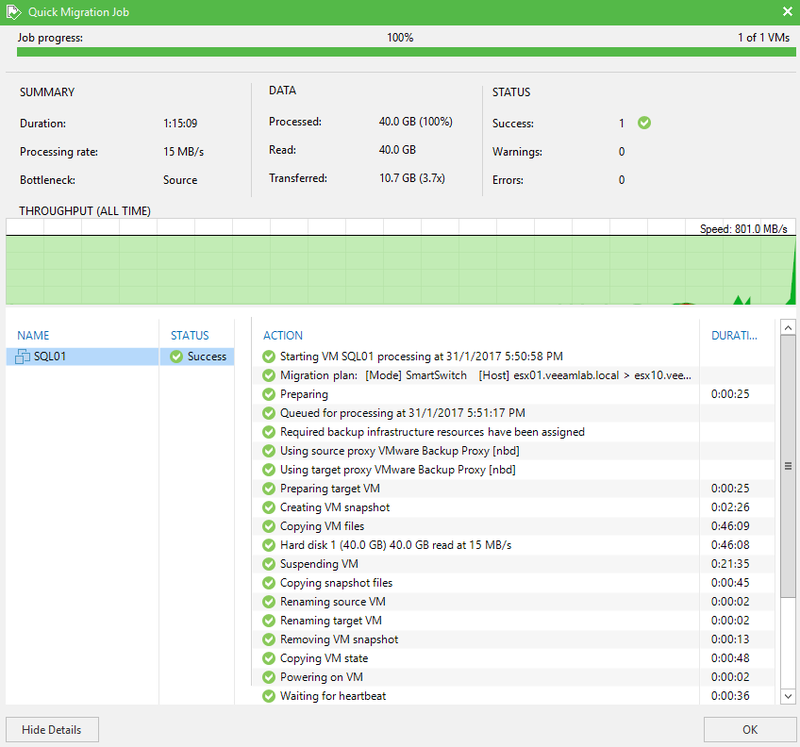 Click Finish when done. 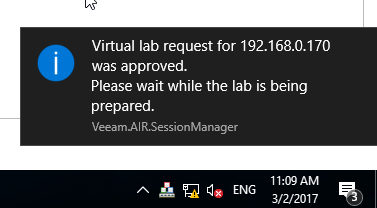 You will receive notification on the taskbar when virtual lab request was approved. 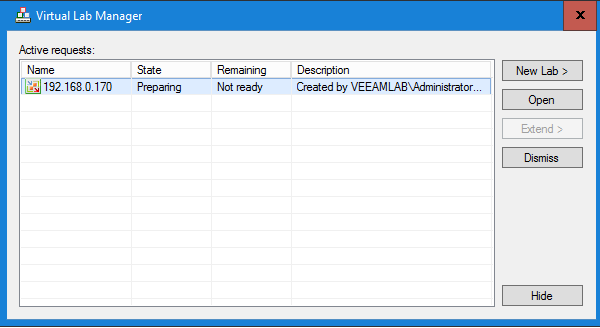 When open virtual lab manager, it will display state as "Preparing". 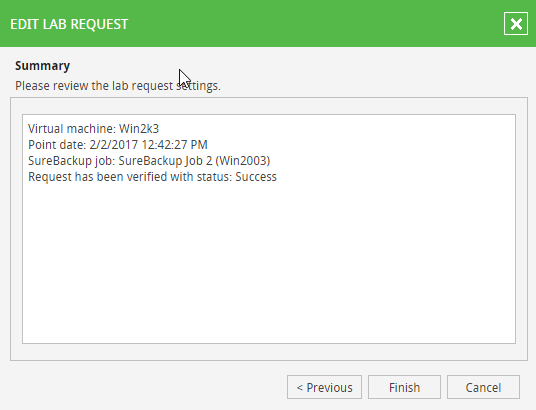 Wait for Surebackup Job to kick in. 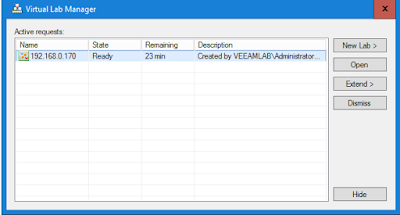 User will notify when it is ready. 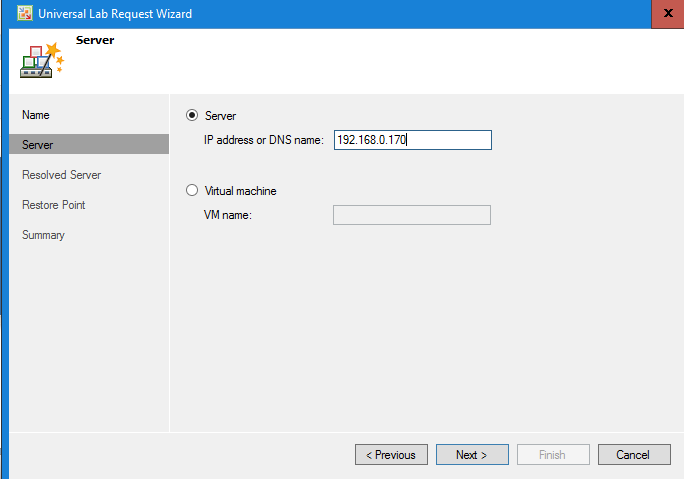 Universal Recovery wizard provides a masquerade IP address for the VM in the isolated environment and automatically updates routing on the user’s machine. You can use the specified IP address to connect to the VM remotely and extract required items from the application with the native management tools. 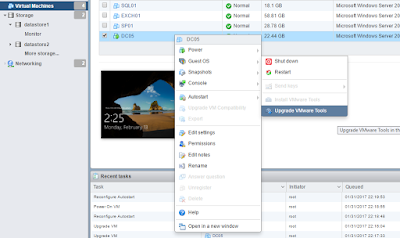 As an alternative, you can log on to the VM console using vSphere Client or HyperV Manager. That's all. 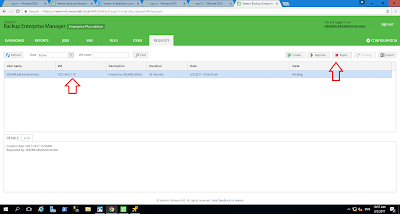 Hope you able to test it on your environment and recover your older application. 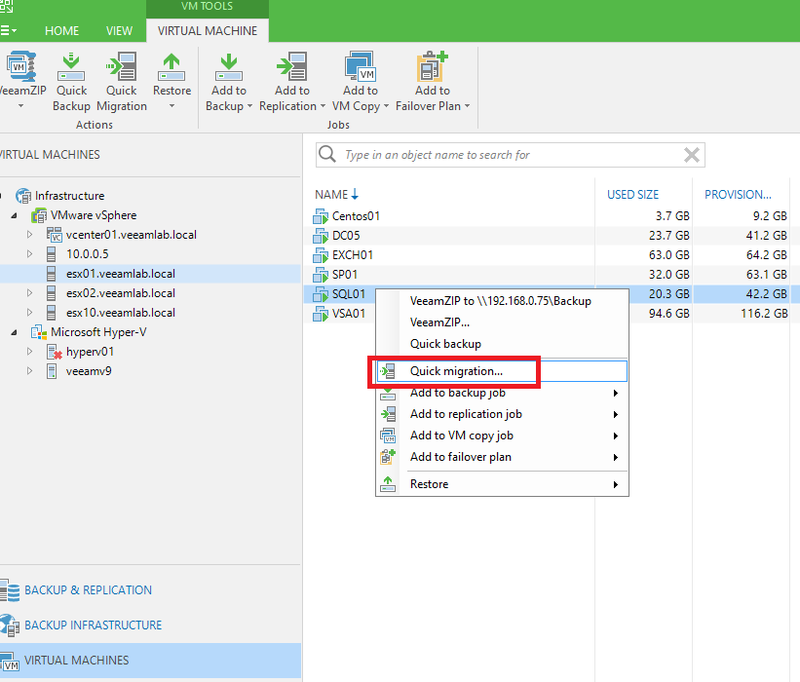 In this post, we are going to migrate virtual machines reside on standalone Vmware ESXi 6 host to standalone Vmware ESXi 6.5 host using Veeam Quick Migration. 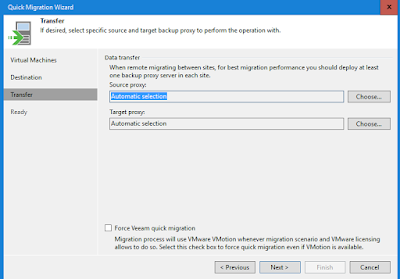 You can perform hot migration (while VM is running) or Cold Migration (while VM is offline). 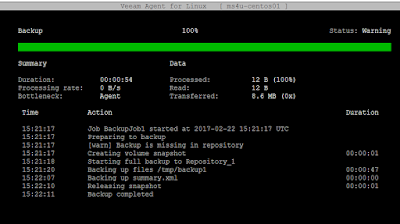 During our lab testing, we realize that VM migrate faster when VM is offline. No interruption to VM when perform hot migration. 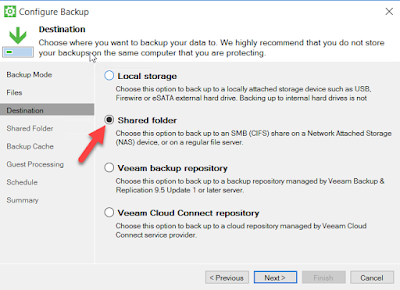 Veeam Backup & Replication 9.5 with Update 1. Update 1 is require to backup Vmware ESX 6.5. To download, click here. ESX 6.5 without any VM. (new setup). 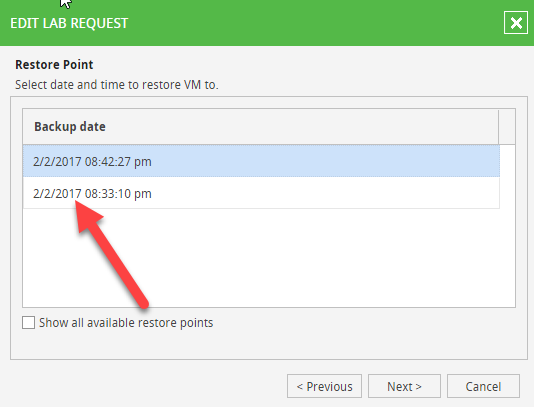 Starting from 6.5, Vsphere client is no longer available. 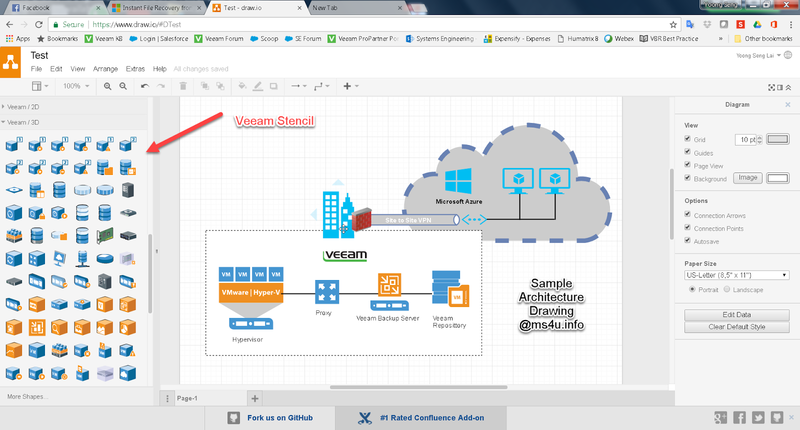 to manage ESX host, you will use Vsphere Web Client (HTML 5) and access using latest web browser. 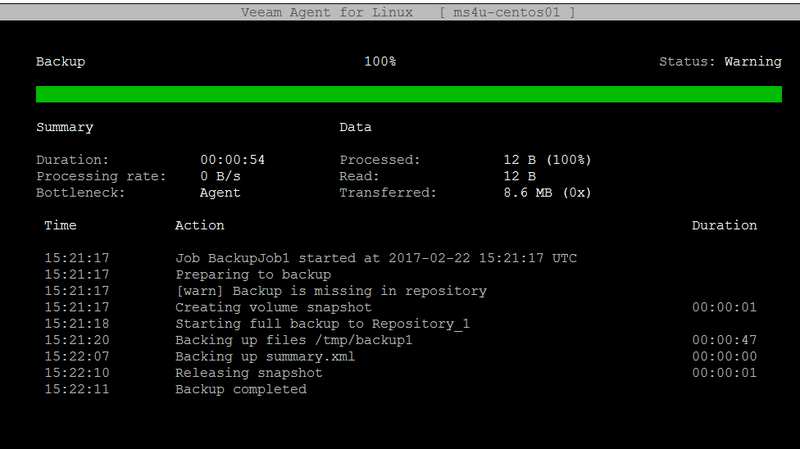 To be safe, we recommend that you perform full backup of existing virtual machine before perform any migration. 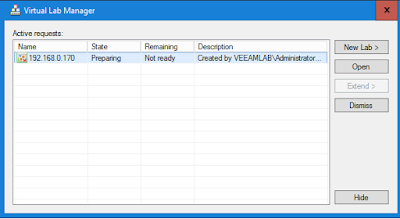 Once done, you can start to migrate VM by using Veeam Administrator Console. 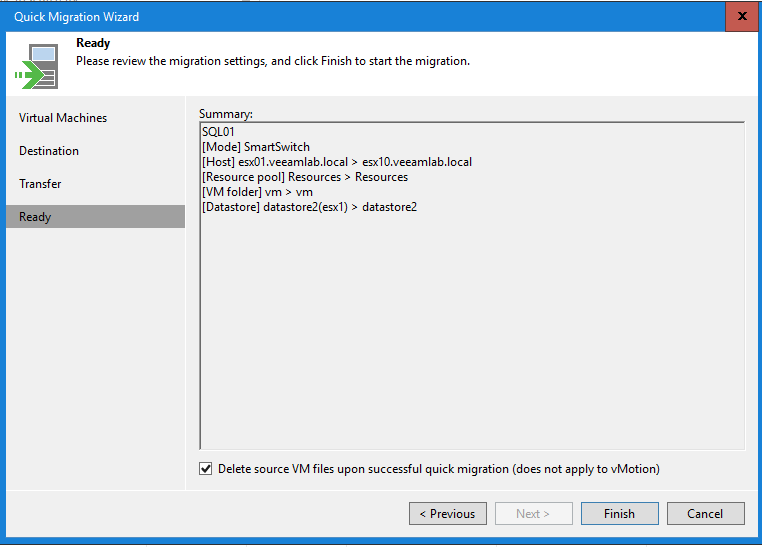 Go to Virtual Machine workspace | Go to ESX Host | Right click VM | Select Quick Migration. 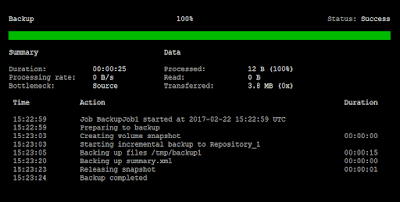 Note:- Make sure you've added ESXi 6.5 host into managed host. 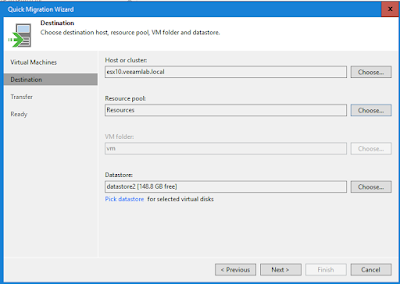 Select Target Host (ESXi 6.5) and target datastore where you would like to put them. 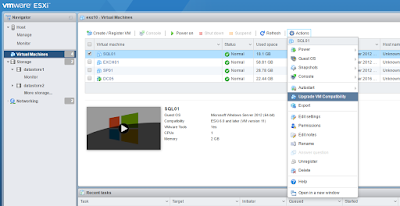 Upgrade VM Compatibility to ESXi 6.5 virtual machine. 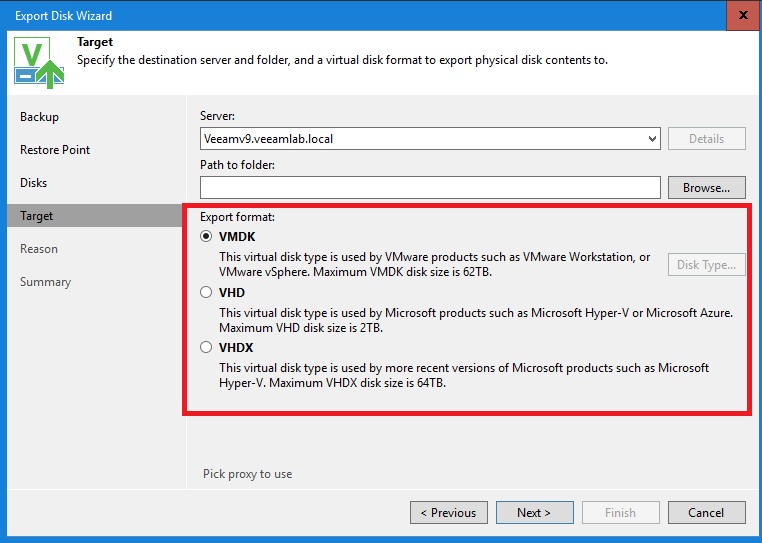 This process is irreversible operation & incompatible to prior version of ESXi Host. Do this when VM is offline. 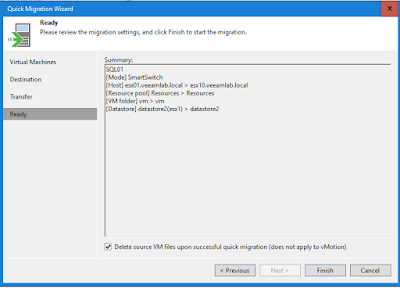 Now you've successful migrate virtual machine from ESXi 6.0 Host to ESXi 6.5 Host. 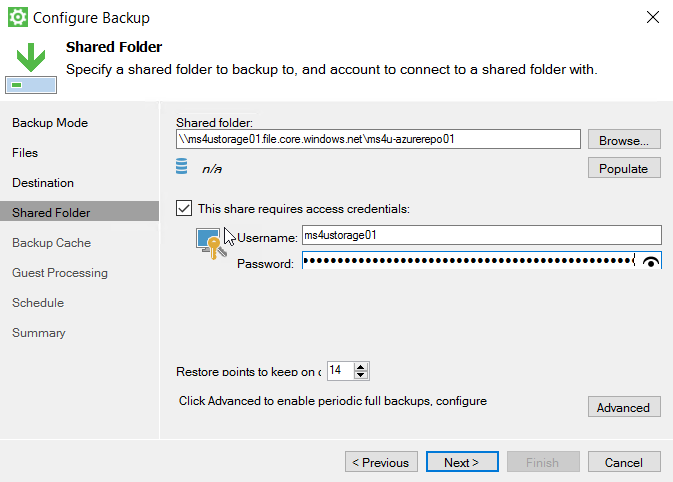 Final step, is modify the backup policy & perform backup to protect the virtual machine using Veeam Backup & Replication 9.5.